Follow these simple steps to place an order for a print of your choice. At this point in time, we do not take payment through this website. Instead, we prefer to treat every order as a custom order so we can banter back and forth with you, share decorating advice and ideas, and ultimately guarantee your satisfaction. Then, we can handle payment by check or credit card. Cash, checks, or credit cards may be used as payment. 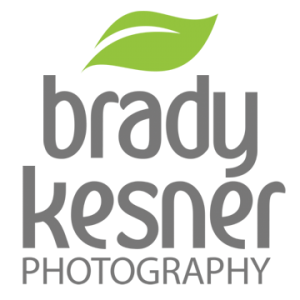 Please make check and money orders payable to “Brady Kesner Photography.” If using a credit card, we’ll have to meet to complete the transaction. If you are located somewhere in the immediate Highland, Illinois area, we will certainly make an effort to hand-deliver your print. We can discuss this during the transaction. If you are located further away, and you order a metal print or a giclee’ print, our photo lab can ship the print directly to an address of your choosing. This handy service is ideal if you are in a hurry and are planning to give the print as a gift. We charge an extra $10.00 for this service. No documentation or packing slip will be included. Rush service is available for an extra charge. If you are in a hurry, we can likely take care of you, so please let us know right away. Turn-around on a metal print or matted print will be no more than 7 working days, not counting shipping time. Please know that once you place an order for a print, we produce it just for you! We take our photography and your satisfaction very seriously. We’re overjoyed that you want to have an image of ours hanging in your home or office or that you’ve chosen to give one as a gift. If you find that you are not happy with the quality of a print you purchase from us, we will gladly refund your money! You may call me to place your order; my phone number is 618-972-9679. If I’m not available, please leave a message and I will return your call ASAP. Size of Print: Select:Metal: 8" x 12"Metal: 12" x 18"Metal: 16" x 24"Metal: 20" x 30"Metal: 24" x 36"Metal: 32" x 48"Metal: 40" x 60"Metal: Custom SizeGiclee‘ Paper Print: 8" x 12"Giclee’ Paper Print: 12" x 18"Giclee‘ Paper Print: 16" x 24"Giclee’ Paper Print: 20" x 30"Giclee’ Paper Print: 24" x 36"Matted: 8" x 10"Matted: 11" x14"
We’ll reply to your email or phone call and will acknowledge your order. We’ll give you a total dollar amount and ask that you send payment. We’ll also discuss delivery or shipping options. We’re friendly, we’ll correspond quickly, and we’ll keep you up to date as we custom prepare your print. Once we receive payment, we will expedite shipping or delivery!